Welcome to another edition of #FinisherFriday! This is Wreddit_Regal giving you an analysis of the beloved New Day's double team finisher. 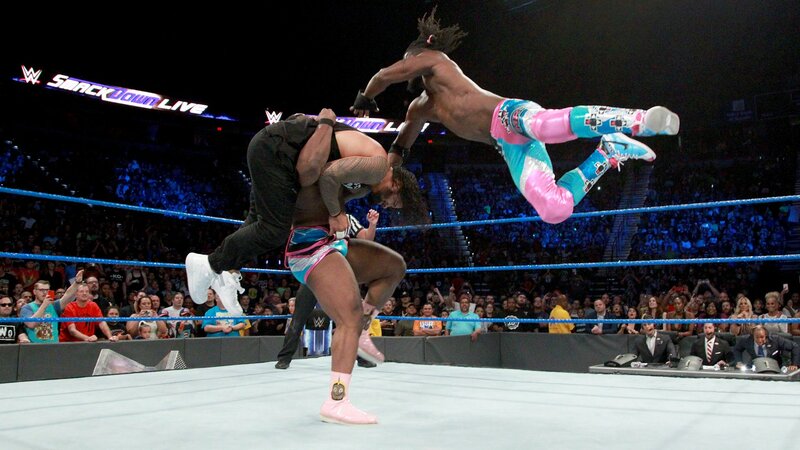 If you've been watching SmackDown consistently starting from pre-Elimination Chamber until now, you know by now that #KofiMania is running wild, with the WWE Universe eagerly waiting for the moment Kofi puts WWE Championship gold (or hemp) at his waist. Starting out by filling in as a replacement for an injured Mustafa Ali for the Chamber match, until finally securing his moment at Mania against the "New" Daniel Bryan, this storyline has gained mostly positive reviews from critics such as Cagesideseats and BleacherReport. Putting those words into action, they faced team after team so that their compadre can keep his match at the grandest stage of them all. As a tribute to their valiant efforts, I will be discussing their tag-team finisher, the Midnight Hour. My first #FinisherFriday article talked about the mechanics of Big E's "Big Ending," which was a solar plexus blow dealt by his shoulder alongside the facebuster setup. But when a 200-or-so-pound guy jumps on an opponent and pushes his head downwards onto the mat, we're now talking about a new beast. Pushing the head downwards when the upper body is freely hanging means that either the opponent's forehead or crown will come in contact with the canvas. In this case, the facebuster is instead turned into a DDT—a highly-elevated one to beat. 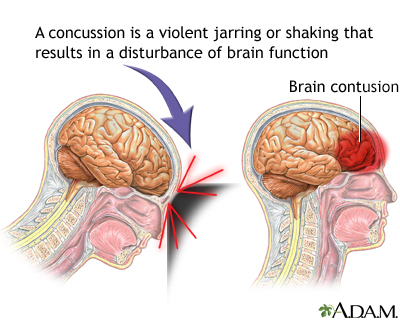 This ensures that the opponent will get a higher dose of your standard cerebral concussion, that may very well secure the pinfall victory for the team. And there you have it chaps, the Midnight Hour deconstructed! Do you think that Kofi Kingston will finally get that coveted WWE Championship from Daniel Bryan at Wrestlemania? Let us know in the comment section below! Wreddit_Regal is the resident sports kinesiologist of Reddit's wrestling forum, r/squaredcircle. From the most basic of punches to the most intricate double-team maneuvers, he can explain them within the realm of human anatomy and physics, because when doing absolutely nothing wrestling-related, he also happens to work as an operating room nurse.